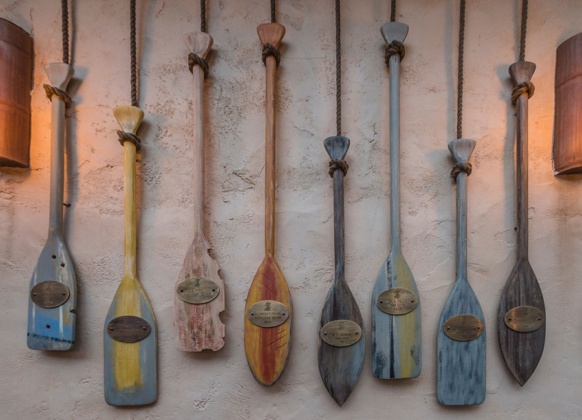 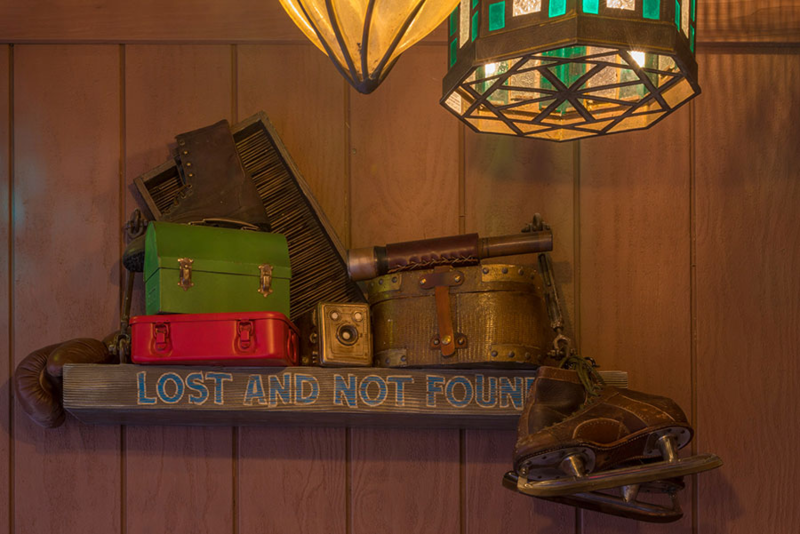 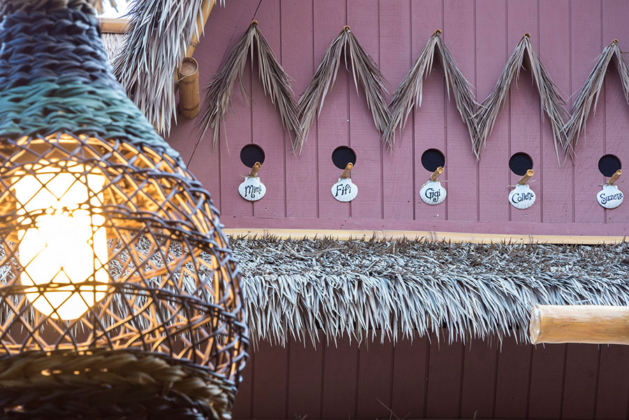 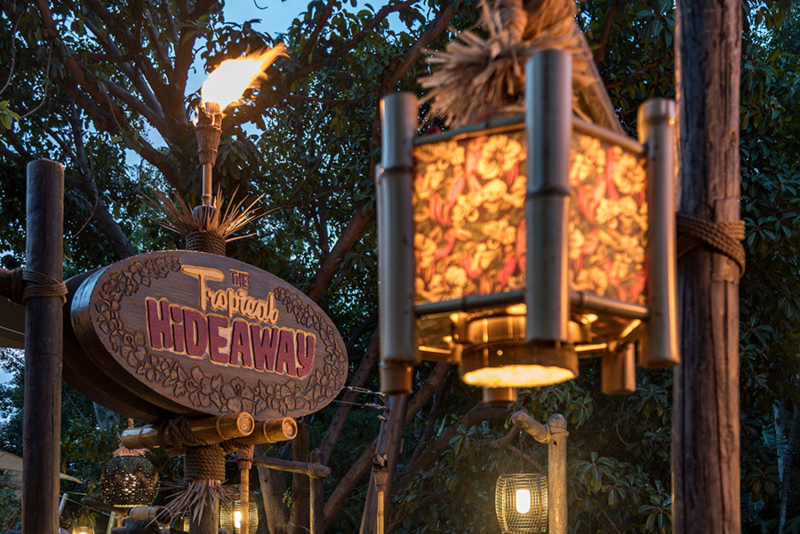 With the opening of The Tropical Hideaway in Disneyland’s Adventureland seemingly getting closer, today the Disney Parks Blog is offering a first look inside the anticipated location. Tucked in between Walt Disney’s Enchanted Tiki Room and the Jungle Cruise, The Tropical Hideaway will occupy the area that was formerly Aladdin’s Oasis. 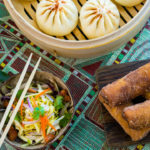 Earlier this year, we already got a sneak peek at the menu for the quick service spot, which includes steamed bao buns, ramen salad, pineapple lumpia, grab and go tropical-inspired snack, and more. 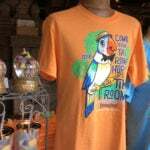 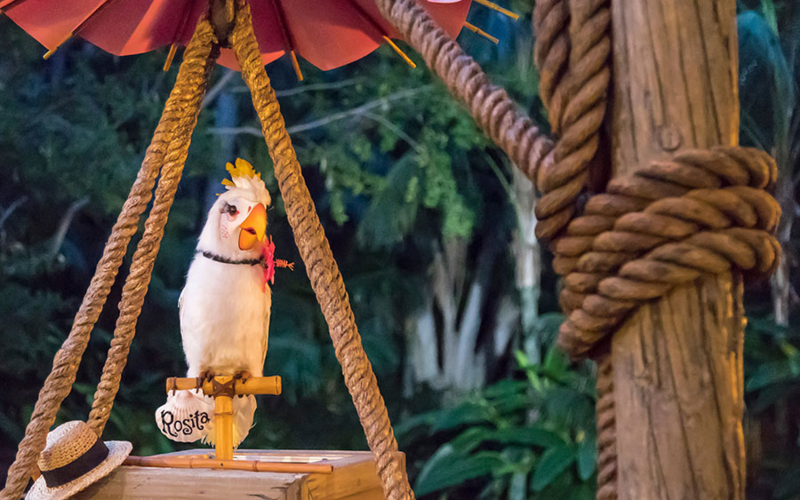 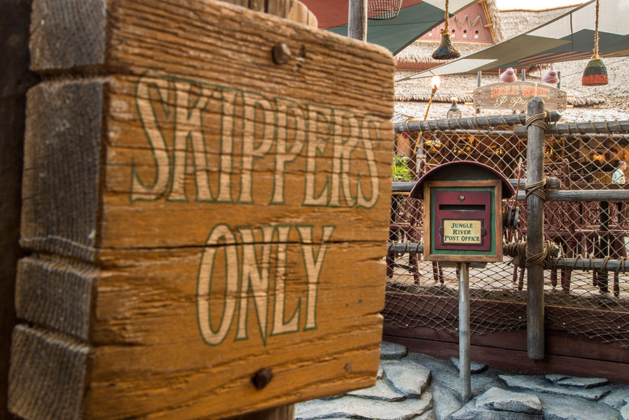 We also learned that the long-missing Rosita would take up residence at the Hideaway and be chatting with guests. 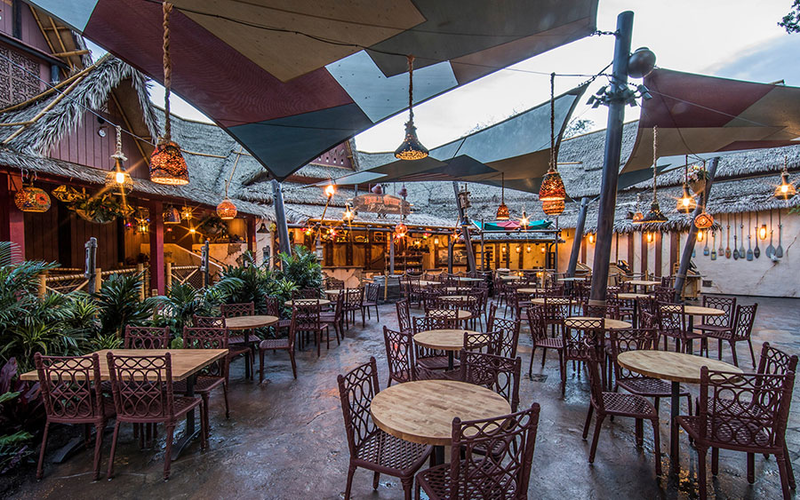 Now we’re getting a peek behind the construction walls at the new seating area and signage. 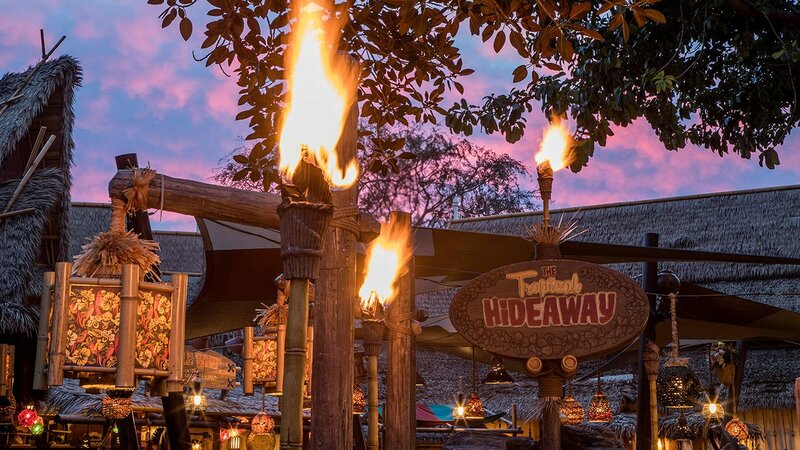 While it seems The Tropical Hideaway is getting close to an official debut (and it was announced to have a 2018 opening), no date has been given just yet. 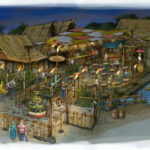 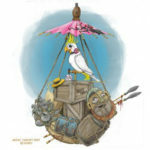 That said, stayed tuned as we await the arrival of this fun addition to the Disneyland Resort.